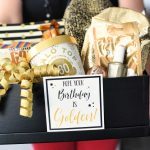 A Peek at the Fun: Summertime means lots of backyard fun and these barbecue party game ideas are perfect for fun in outside for any party you are throwing. 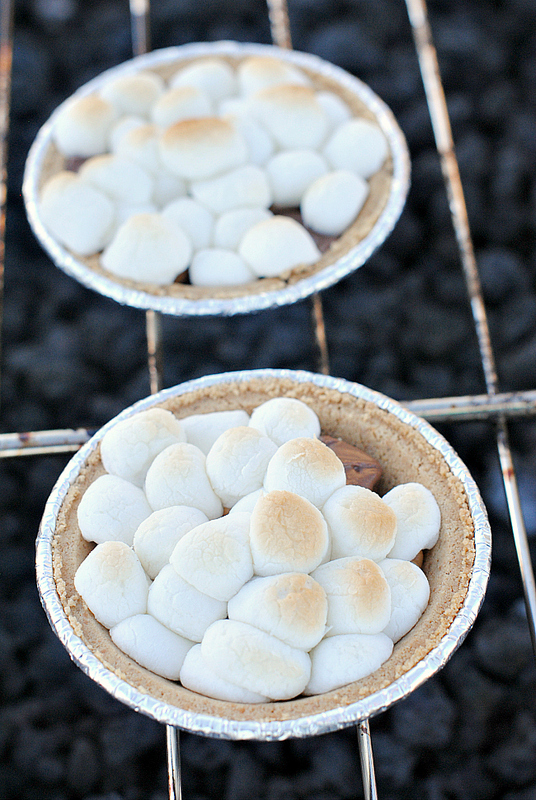 Try to win these S’mores themed games in a minute or less. 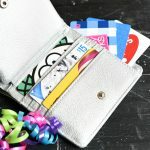 They are great for all ages-kids to adults! 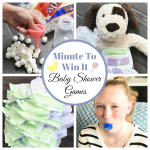 We’re hoping this is a fun spin on Minute to Win It games that you haven’t seen before. 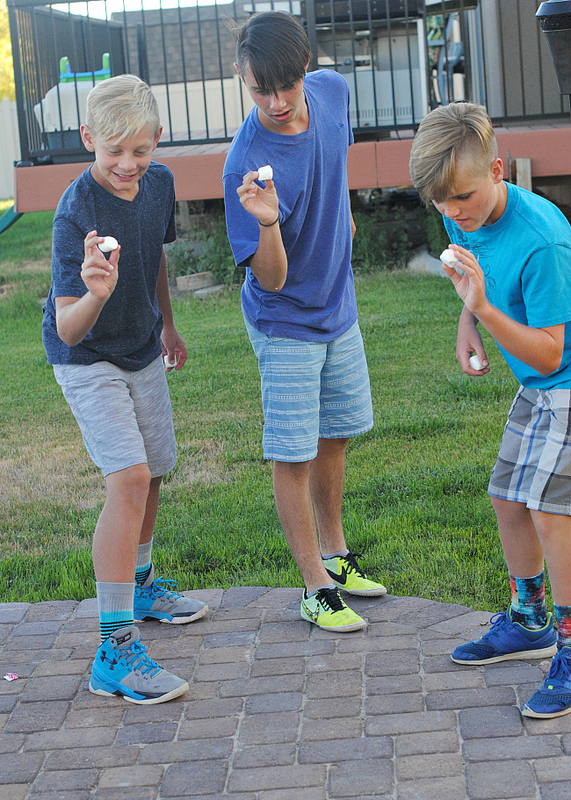 When we were throwing our S’more Fun Backyard BBQ party, we thought it would be fun to have some games, and S’mores just seemed like the thing to do! 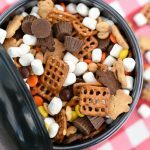 So we came up with some wild and crazy Minute to Win It games that are perfect for an outdoor summer party. The kids dragged their feet when we told them to come play-until they tried them and then they were SOLD! 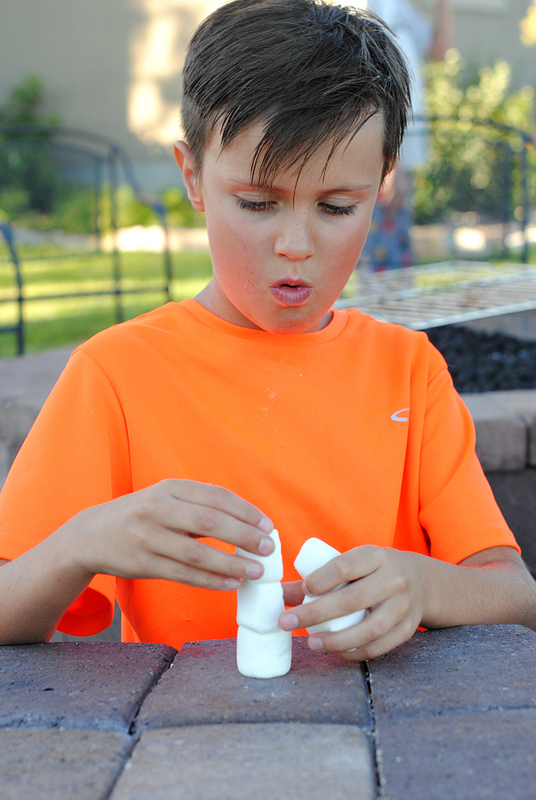 Here are some fun barbecue party game ideas for you to try at your next party! Man, we just love a good summer barbecue party! 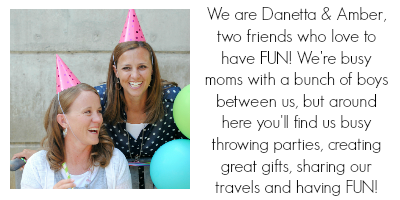 We can’t wait to throw another one! 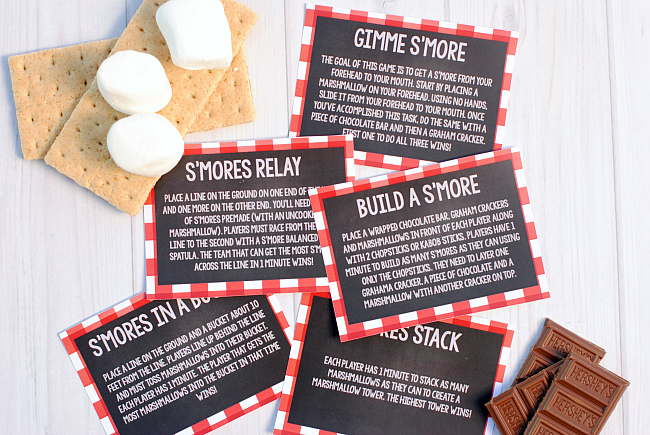 We’ve got 5 fun barbecue party game ideas for you along with printable cards you can use at your party to give people instructions if you want! Here’s how to play each game. Give each player one minute to stack as many marshmallows as they can without the tower falling over. Tallest tower wins! 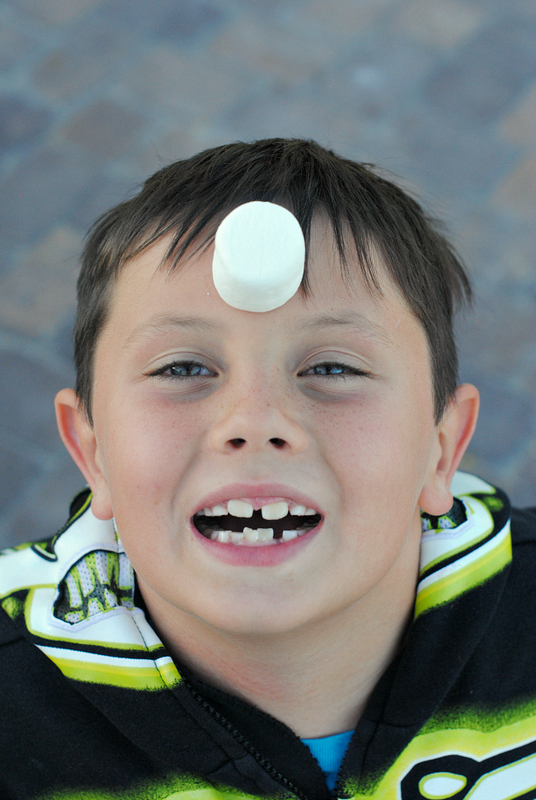 This is the twist on the classic game where you place a cookie on your forehead and have to slide it into your mouth without your hands, but this time you are using the S’mores fixings! Place a line on the ground and line players up behind it. Place buckets about 10 feet away. 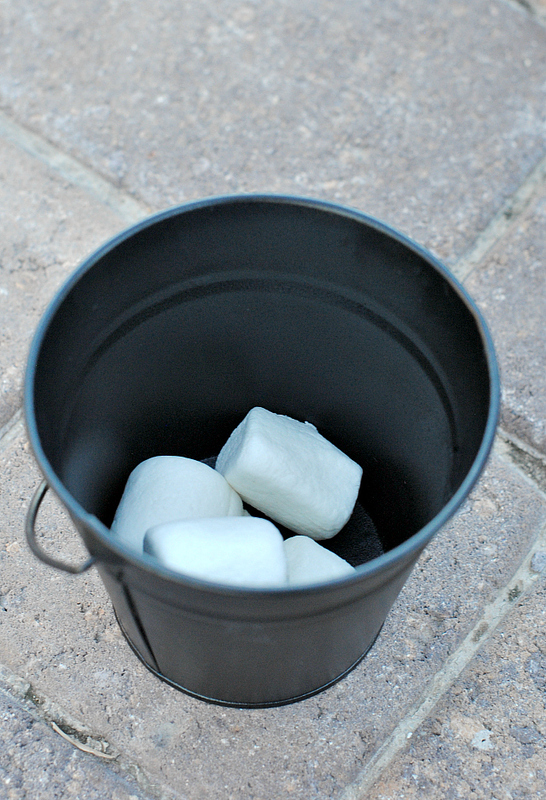 Players have 1 minute to toss as many marshmallows into the bucket as they can. The player that gets the most in the bucket wins! Try to fill the buckets! 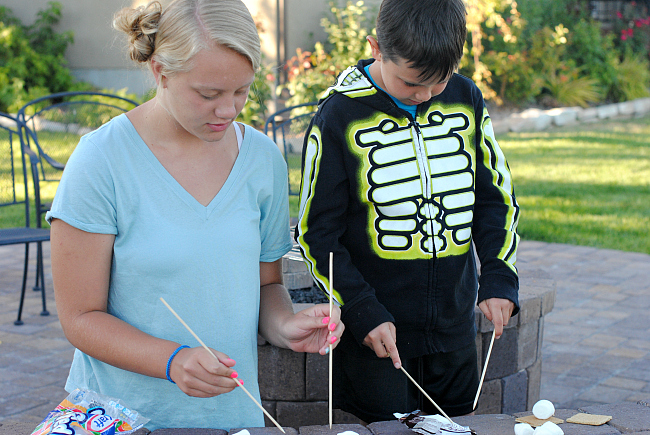 Give the players all of the ingredients needed to make a S’more and two chopsticks or kabob sticks. They have to build a kabob using only the sticks. 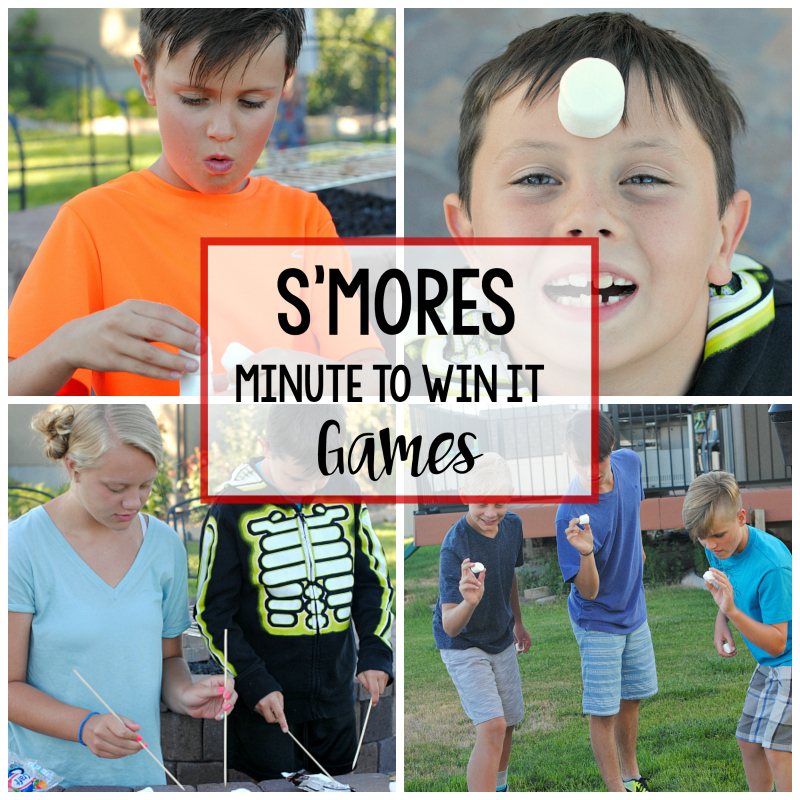 Each player races to make as many S’mores as possible in one minute. This is trickier than it looks! 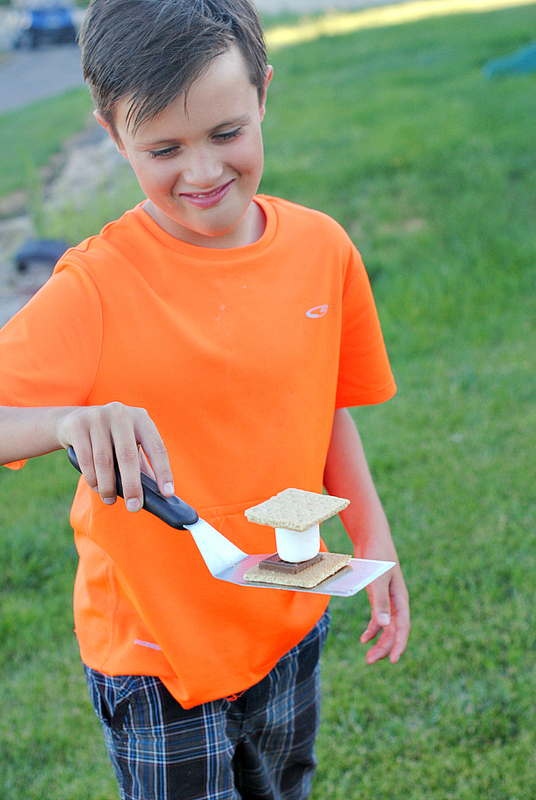 This is a classic relay, but to give it a fun, summery twist, players carry a S’more on a spatula from one designated spot to another. The team that gets the most S’mores across the line in 1-minute wins! What do you think? Will you be good at these games? Ready to give them a try at your next summer barbecue party?! 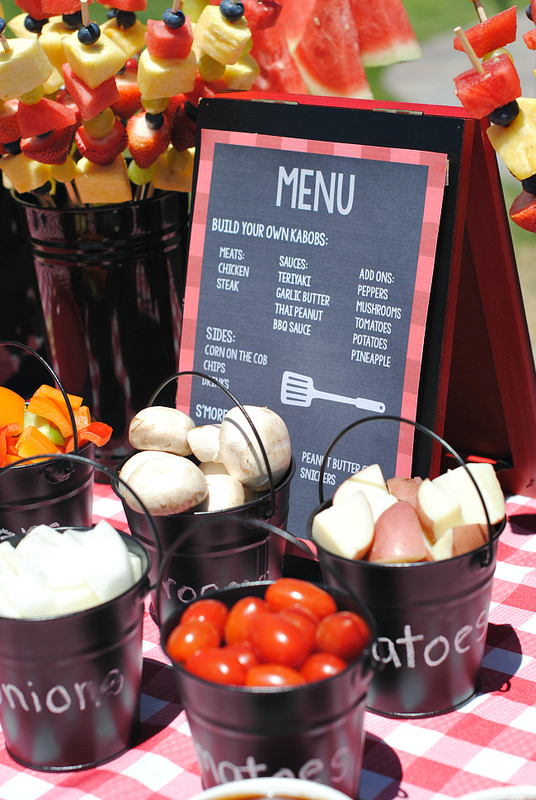 Have FUN playing these barbecue party game ideas!